If PAX East 2013 is remembered for anything, it will undoubtedly be the contagion that swept the showroom floor. It wasn’t some handshake-induced strain that whipped through attendees and across the vast reaches of the internet. It was something far more potent: the long-dreamed resurrection of DuckTales and its infectious tune, spreading with airborne hums and whistles. By day’s end nowhere was safe, and among the eager mobs huddled around Capcom’s display booth hoping to catch a glimpse of their childhoods, it was ground zero. 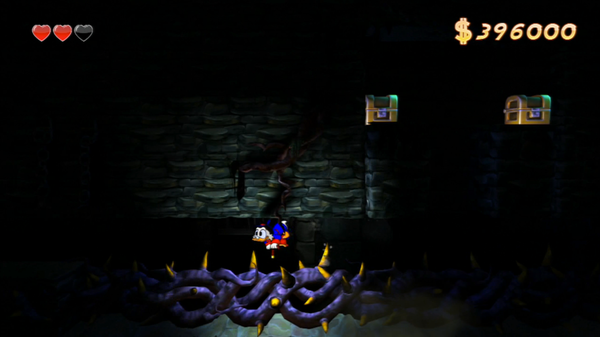 When sounds of the infectious DuckTales Remastered theme song caught the ear of XBLAFans, we naturally investigated. We were intent on finding the culprit, daring to believe rumors of the nostalgic possibilities at the end of the line. 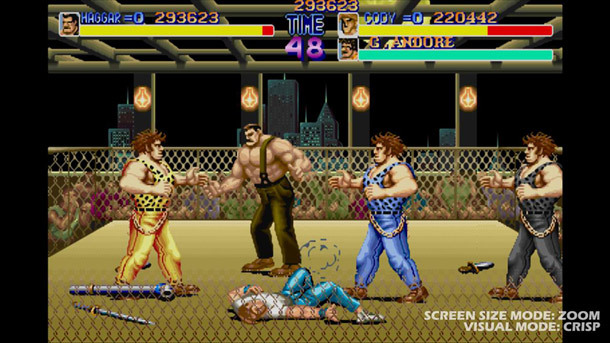 What we found was Capcom Senior Product Marketing Manager Matt Dahlgren manning an arcade machine surrounded by toe-tapping onlookers and a flurry of questions. For the uninitiated, the “8-bit version” Dahlgren is referencing was one of the most beloved games to sprout from the NES era. 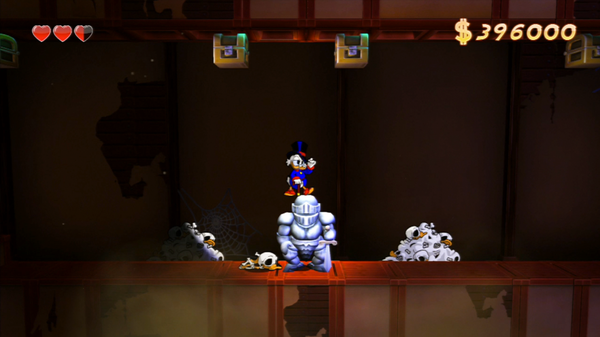 DuckTales blended a familiar license with fantastic platforming design from the same talent behind the Mega Man franchise. It was simple at times, infuriating at others, but it was wreathed in charm and never ceased to hold one more hidden treasure in its many secret crevices. The voice of Scrooge McDuck belongs to Alan Young, the 93-year-old veteran of sound and screen who made a name for himself starring in Mister Ed before lending his vocal talents to Uncle Scrooge in Disney’s multimedia empire. Young is joined by the surviving cast of the animated series, which first took to the airwaves in the late ‘80s before finding worldwide syndication over the next decade. As our impromptu interview wraps and we escape the assembly of grinning spectators, we can’t help but feel the next generation of DuckTales fans are in good hands. 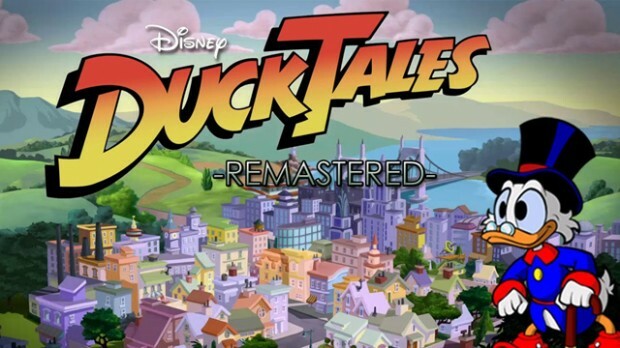 Targeting an Xbox Live Arcade release for 1200 MSP, DuckTales Remastered should be available this summer. By then, we might have even gotten that theme song out of our heads – but we doubt it. Woo-oo. 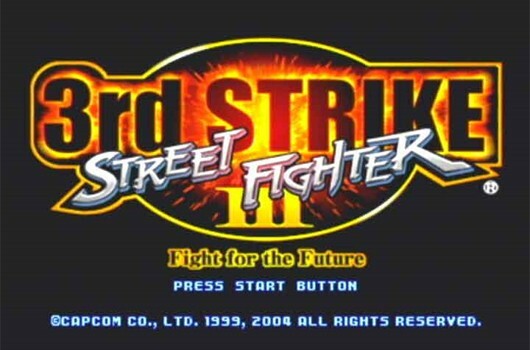 Capcom planning out SFIII: Third Strike’s release.